No blog about opera, written by an operatic tenor, would be complete without some sort of listings of my favourite tenors. In all cases, the overriding factor in my decisions is the beauty of their voice, their technical proficiency and their passionate dramatic interpretations. These are the singers that I continually listen to for enjoyment, inspiration and model for production and quality of sound and interpretation. That isn't to say that I try to copy any these great singers - in fact, if it were possible we would all sound like them!  But I certainly listen carefully to what they are doing, either in terms of the sounds they are making and their musical choices. Luciano Pavarotti sings "Nessun Dorma" from Puccini's Turandot..
Luciano Pavarotti is my favourite tenor. He is also the most successful recorded opera singer of all time according to record sales (with Andrea Bocelli coming in at 2nd place), with 19.9 million certified sales of recordings (albums, operas and singles) and a claimed sale figure of over 100 million recordings. He may have been criticised for his lack of acting ability, musical sloppiness (debatable), inability to read music or learn parts and for his attempted crossover to pop music but there is no denying how great his voice is, nor his passion or technique. Every Pavarotti recording I have ever heard, unfortunately I never saw him live, has been a revelation and 95% of the time I consider these recordings to be definitive. For me, nobody can replace his Rudolfo in La Bohéme, his Edgardo in Lucia di Lammermoor, his Duca in Rigoletto, his Nemorino in L’Elisir d’amore or his Manrico in Il Trovatore. And of course there is his signature - Nessun Dorma! Not only is the voice and musicality unmatched, but every word he sings has meaning and intention – he may not have been able to move his rumoured 396 pounds on stage, but he could certainly portray the roles with his voice and his facial expressions – see his totally convincing Duca in Rigoletto. Luciano Pavarotti sings "Questa o Quella" from Rigoletto. Juan Diego Florez sings "Ah mes amis quel jour de fête" from Donizetti's La Fille du Regiment. Juan Diego Florez is the current "it" tenor and is currently singing in operatic productions and orchestral recitals at all the biggest opera houses in the world as well as recording numerous albums. And is my clear second favourite tenor of all-time. What makes Juan Diego Florez separate from most tenors who climb to the top of the operatic tree is his choice of repertoire and his voice. He is a leggiero tenor, which means he has the lightest voice category for tenors. And he is very, very aware of his limitations, so only attempts the operatic roles that would allow him to be heard above an orchestra. His strengths, however, are absolutely dazzling. What he has in his voice, first and foremost, is the most secure high notes you will ever hear in a tenor. Top C’s are one thing, but he regularly hits beautiful Ds and has even gone up to an Eb on live recordings, though I suspect his voice would go higher if he was willing to push it up there. The second strength he has in his voice is his flexibility. I have never heard such precise and easy coloratura (melodies where you have to sing heaps of notes very quickly) from any tenor EVER. The fast tempi he takes does not make it any easier for him. Because of his amazing technical ability, and of course his musical imagination, he is able to add a lot of nuance to music so complicated and demanding that most tenors are happy just to get through the arias – the compositions of Rossini for instance. And add to that a great physical appearance, endearing stage presence and dramatic commitment and you get a truly one of a kind tenor. I salute him for not only bringing Rossini back, but for being the best interpreter of the most difficult tenor repertoire that has ever been recorded. German lyric tenor, Fritz Wunderlich unfortunately had a very short career, because he died after tripping over his shoelaces on a staircase and breaking his neck at the age of 35, less than a month before his New York Metropolitan Opera debut which would have made him an international star. Believe me, every time someone points out that my shoe laces are untied, I think of Wunderlich. He is the benchmark that every single Mozart tenor should aspire to – perfect phrasing, great vocal colour, elegant and passionate. When it comes to Mozart, there is no-one who can touch him. It is a great shame that he hasn’t recorded all the Mozart operas in their original languages. Of course, Mozart being my favourite operatic composer, Wunderlich rates very highly to me. In a repertoire that is suited to light, high tenors, he was nevertheless not a very light tenor at all – which is testament to his amazing technique and musicality to his singing. He could pull his big voice back to amazingly beautiful pianissimos and sing in a range that is usually uncomfortable for a voice that size without any strain in the sound. Mozart aside, he excelled in German repertoire - notably the Operettas of Franz Léhar, but also tackled some italian repertoire such as Il Barbiere di Siviglia in his unfortunately limited Italian. He successfully recorded many of the big Puccini lyric arias, unfortunately always in a German translation. Finally, his version of the hugely popular Mexican “art-song” Granada, despite being in German, beats the pants off any Spanish singer I have heard so far. One of the elements that makes those magnificent Maria Callas opera recordings so magnificent is indeed this tenor, Giuseppe di Stefano. There is no other tenor as committed to text as this one, to the point where he sometimes uses his voice in arguably ugly ways to great effect. Yet he has a beautiful ringing voice with exciting and dramatic high notes. When it comes to i Pagliacci, I can’t go past di Stefano’s chilling animal rendition of “Vesti la giubba” from the 1954 La Scala recording in which, along with the chilling final scene, the tension and madness is palpable, even on an audio recording. Giuseppe di Stefano is my go-to man when I ever need to be reminded how far I need to go vocally to act a role – he does it all with his voice. Giuseppe di Stefano sings "Vesti la Giubba" from Leoncavallo's i Pagliacci. Placido Domingo is a voice that always seems to stand out for me. He is the most successfully versatile dramatic tenor I can think of - he is somebody who seems to have sung everything and sung it well. I have heard him sing everything from Rossini to Mozart to Wagner, character roles to the most dramatic. He has very rarely disappointed me in his interpretation, either dramatically or vocally - his horrible rendition of Man of La Mancha aside. He has had an amazing career and it is incredible how many new roles and responsibilities he has taken on every year and I am glad he continues to sing - even if he is dabbling as a baritone as well nowdays. For me, the role that defines him is Verdi’s Otello. Mario Lanza was another tenor who unfortunately died young of a pulmonary embolism at the age of 38 - and was the most famous operatic tenor in the world at the time despite the fact he had only appeared on stage in an opera for two performances! It is most unfortunate that Mario Lanza didn’t sing very often on the operatic stage, having basically chosen a career as an operetta film star. Although he sang some opera arias, he unfortunately sang mostly insidious classical pops. But it was truly a one-of-a-kind voice that adapted well to all sorts of different styles and he sang with so much flair and charisma. All of his interpretations of the classic dramatic arias and popular neopolitan songs are a joy to listen to. I recommend Vesti la Giubba, Nessun Dorma and of course Che gelida manina. Mario Lanza sings "Che gelida manina" from Puccini's La Bohéme. Nicolai Gedda sings "Mes amis, écoutez l'histoire" from Adam's Le Postillon de Lonjumeau. 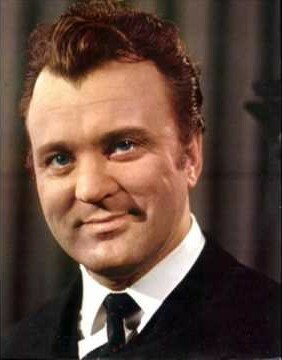 Nicolai Gedda is one of the most consistently great lyric tenors of the 20th Century and his recordings are always wonderful for their musical interpretation, diction and for his exceptional technique. He has covered a huge amount of repertoire, from German opera and notably a good amount of operetta, to operas and operettas in English, French, Italian and even Russian - with flawless diction in all of them! The most thrilling aria he has sung is undoubtably Mes amis écoutez l’histoire from Adam’s Le Postillon de Lonjumeau, which has the highest tenor note in an aria – that of a high D. He makes it sound easy and huge! Richard Tauber is THE man for Franz Léhar. Yes Léhar often wrote specifically for his voice and blah blah blah. I don’t get taken in by the rubbish statement that the original is always the best, but in the case of Tauber, nobody has taken the operetta crown away from him (the closest contenders being Fritz Wunderlich or Nicolai Gedda). His voice is liquid gold, wonderful phrasing, crystal clear diction, amazing high notes and always dramatically convincing in repertoire that is usually way too sugary and sentimental to be taken seriously. If you listen to operetta, especially Léhar, look to Tauber. Jonas Kaufmann is one of the big star tenors today in Europe. I would consider him to be a dramatic tenor with the most baritonal voice I have ever heard – but I have to admit I have only ever heard him on television recordings and most often with a microphone stuck in his face. The most unfortunate thing about Jonas Kaufmann to me is that he seems too often to sing repertoire that is too light for him and, although he manages, it doesn’t show him in a good light. Listening to him over the years is interesting, as his voice has covered all the paths from light lyric to the more dramatic tenor repertoire (he is now in his mid-40s). But if there is any tenor today that would make me leave the house to see an opera on my day off, he is the one (and of course Florez above). From what I have heard, he seems to excel in the more dramatic Puccini and the lighter Wagnerian roles. 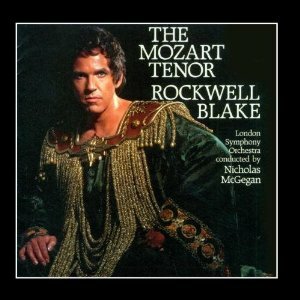 Before Juan Diego Florez came along, American tenor Rockwell Blake was the man for Rossini. Musically immaculate, great coloratura and great charisma, also among the easiest high notes of any tenor I have ever heard – and with the confidence to rip them out at any opportunity. See the amazing high E he sings in the video of Cinderella, listed below! Other tenors I love (honourable mentions): Laurence Brownlee, Carlo Bergonzi, Anton Dermota, Roberto Alagna, José Cura, Joseph Calleja and Andrea Bocelli.